This service includes a comprehensive mental health intake with a local, licensed mental health care professional, and an ESA travel letters (and airline forms) for those that qualify. Thanks to the emotional support peacock, squirrel, and snake, traveling by air with your emotional support animal has become more time-consuming and more expensive. US airlines now require mental health care providers to certify the passenger is currently undergoing professional care for ongoing treatment regarding a mental health-related disability. Most airlines follow American Airlines‘ ESA documentation validation which includes “contacting your mental health professional.” Given our total compliance with federal HIPAA data privacy guidelines, unless a passenger/client purchases the additional airline verification service, our clinicians cannot legally answer any airline queries. Read: 2019 updated US/Canada airline travel requirements. The assessment and session will typically last 40-50 minutes, and can be one in one appointment. Without an ESA letter, airlines typically charge $150 each way for your pet. 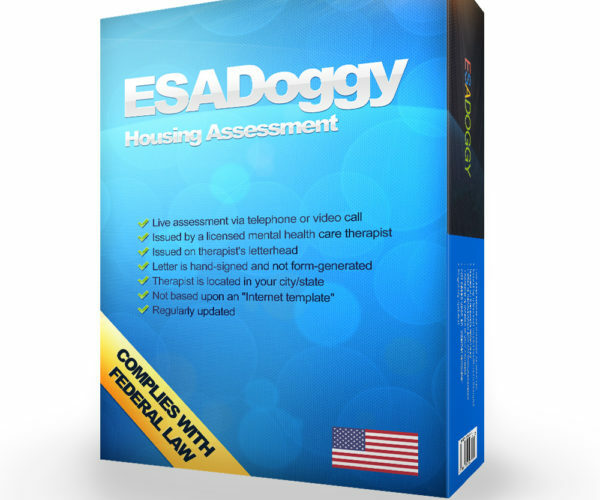 You can learn more about our assessment process here.